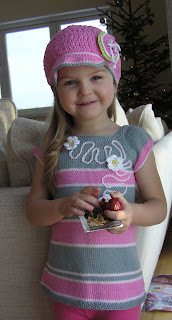 Here is a little peek to my new knitted dress that will be ready hopefully in a few days and a matching headband. Both in fantastic radiant orange !! Here are some new items from my spring collection. First a knitted minidress/tunic. 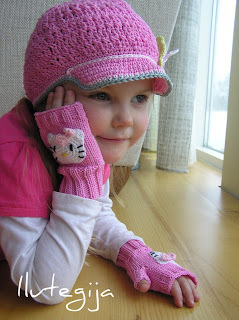 These knitted dressis are unbeliavable soft and comfortable for kids to wear. They are warm, but not too warm. 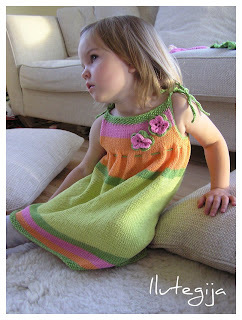 Even in the summer cotton is the best materail to wear :) Kids can wear these dresses for a long tima. For a one year old girl it is a dress, but for a 3-4 year old it is tunic, that your kid can wear with jeans or tights. 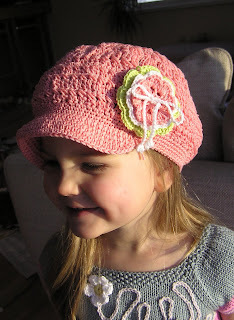 And here is another set of a crochet newsboy hat and little wristwarmesr. Peach colore is so beautiful for spring. I just wanted to show you this absolutely adorable picture of my friends 3 months old baby girl. They needed a little christmas dress for little Liis. It came out great i think :) She looks soo sweet in this dress. I love spring :) Although the winter in Estonia this year is amazing i still can´t wait for the days to get longer and for the first flowers to come out!! Here is my first items from the spring collection. I love wrist warmers and so do my kids. 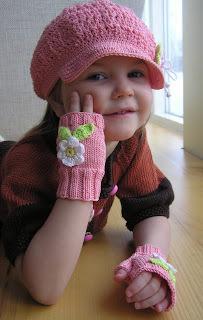 My daughter can´t wait until spring too so she could wear them outside. Wright now she is wearing them at home :) Also the newsgirl hat is one of my favourite for srping. This is a fun and cute set for girls who love pink! Happy new year everyone and welcome to my blog. I decided to start this year fresh and make a new blog. So for the start, here is something about me. My name is Heidi and at this moment i am a stay at home mom. I have two adorable and energetic kids. Daughter Meribel is 3,5 years and son Markkus is 2 years old. I live in Estonia. 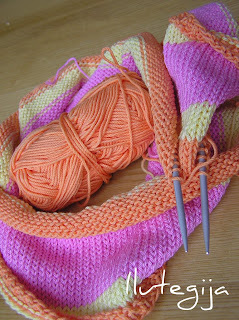 I have been knitting and crocheting since i was about 14. It has always been my hobby. I went to study fashion design and it has given me a very good idea of how to make clothing that fits. But the problem is that i do not like sewing at all. I rather knit and crochet. 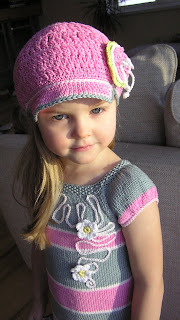 When my daughter was born i started to knit and crochet for her and saw that there are not many beautiful and comfortable clothind and hats in the stores. So when i made something to my daughter my friand started to ask these items for there kids too. This is how my Ilutegija project started. 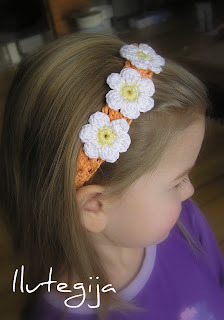 So in this blog you will find my newest designs and also the projects that are not for kids. Thanks for visiting and have the best day!! !